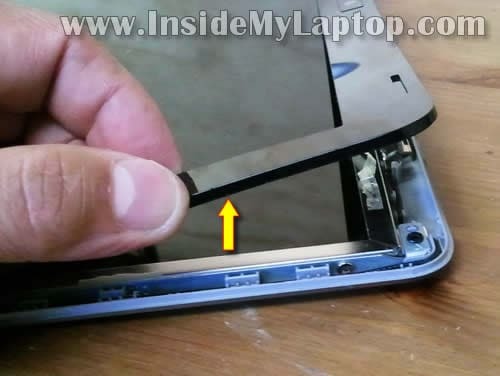 Remove the screw cover from the lower right corner of the screen bezel. 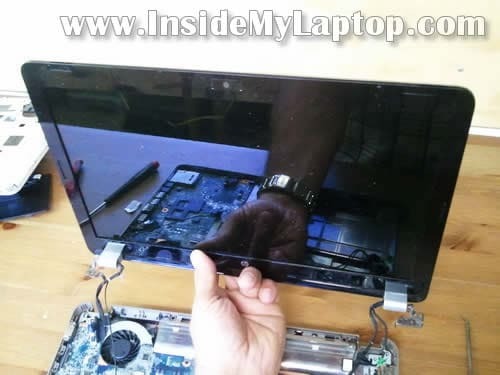 Remove the screw cover from the lower left corner of the bezel. 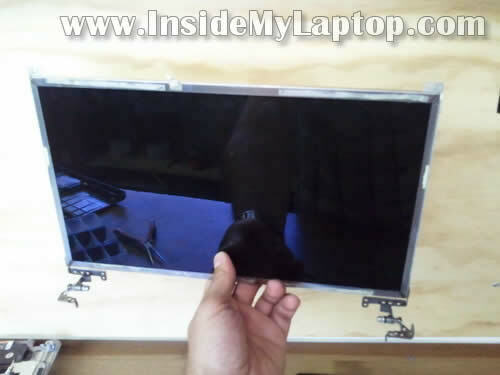 Start separating the bezel from the display back cover. I’m doing that with the guitar pick. You can use a piece of plastic. Insert the guitar pick between the bezel and back cover and slowly move it along the side. At the same time wiggle the bezel to unlock it from the back cover. 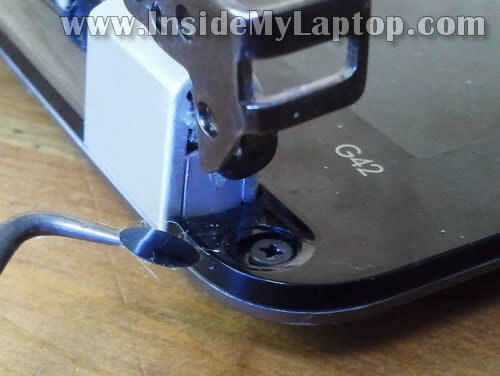 There are small hidden latches securing the bezel. 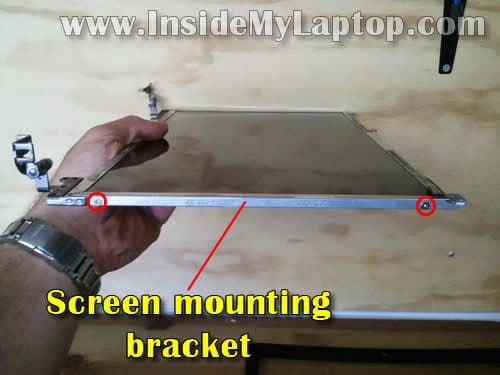 You’ll have to apply some reasonable force to lift up the bezel because it’s glued to the LCD screen with sticky tape. 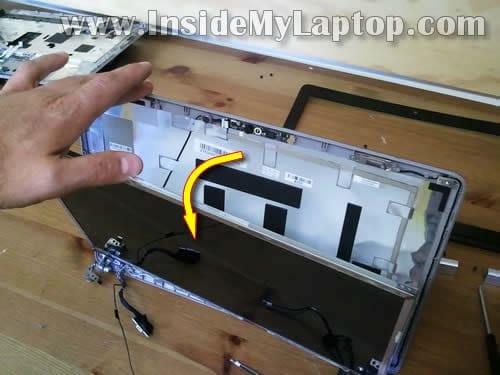 Separate the bezel on the upper side of the display and than move to the lower part. 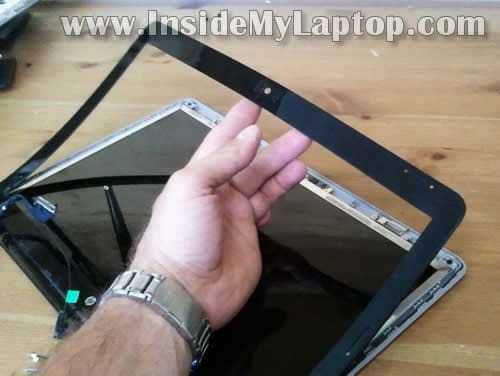 Remove two screws securing the display hinge covers. 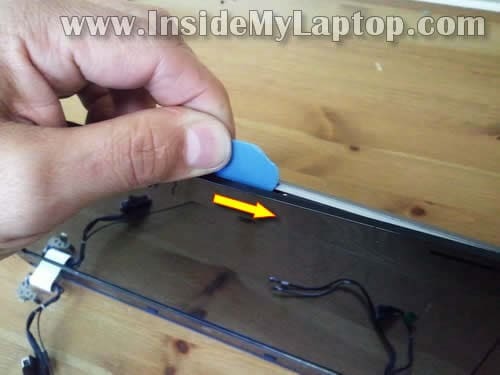 Separate the LCD from the display back cover and place it face down on the table. 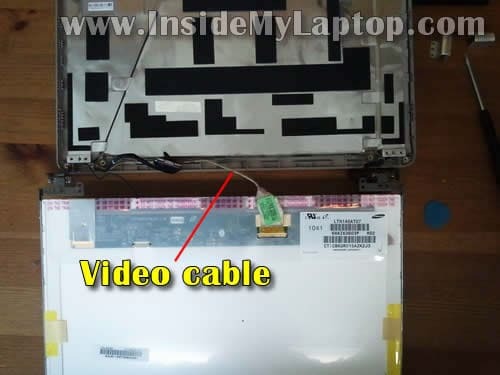 Unglue the clear tape securing the connection. 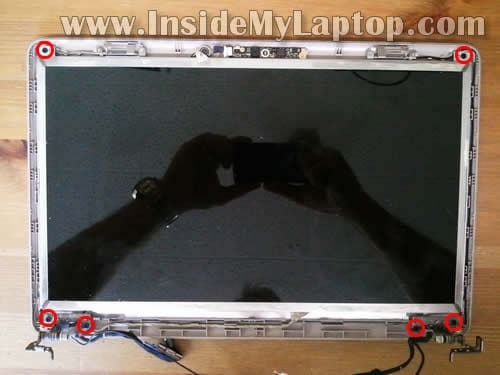 Now the screen is ready for the replacement. 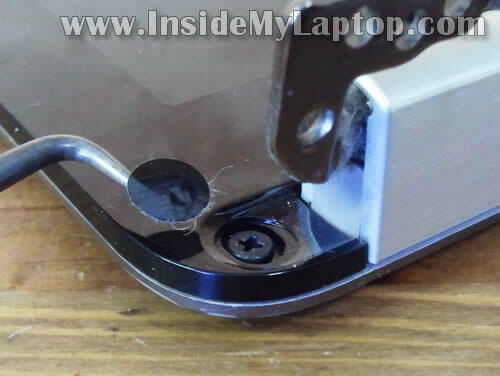 Remove two screws securing the mounting bracket to the right side. 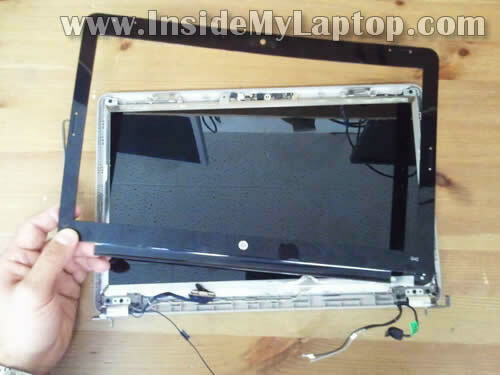 Remove the mounting bracket and transfer it to the new LCD screen. Do the same with the bracket attached to the left side. thanks to you. i don’t have to bother around repair center. 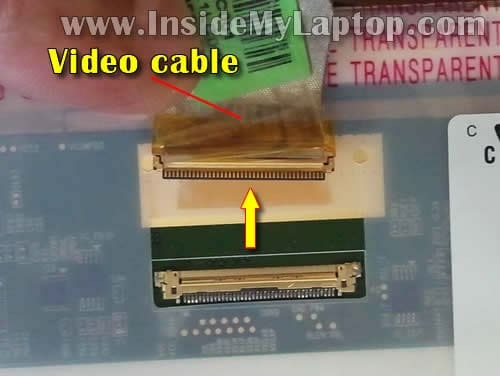 there is loose video cable on the motherboard port.